1. Heat 1 tablespoon of oil over medium-high heat. 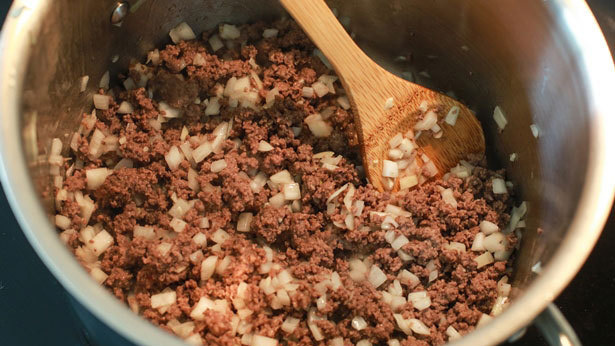 Add ground venison and brown with salt and pepper, breaking up meat with a wooden spoon. Next, add another 1 tablespoon of oil, plus chopped onion and garlic. Sweat onion until softened and translucent. 2. Next, lower heat to medium and add cumin, garlic powder, onion powder, chili powder and paprika. Stir and combine spices into the meat, allowing the spices to get toasted a bit. Then add the beans, tomatoes, bay leaves, molasses, sugar and enough beef broth to submerge ingredients. Drop jalapeño slices, to taste, into the chili, cover and simmer on low for 1 hour. 3. 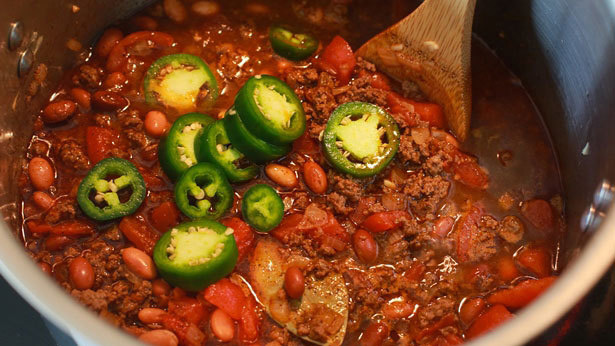 Taste chili for seasoning; add salt and sugar as needed. Discard bay leaves and jalapeño. 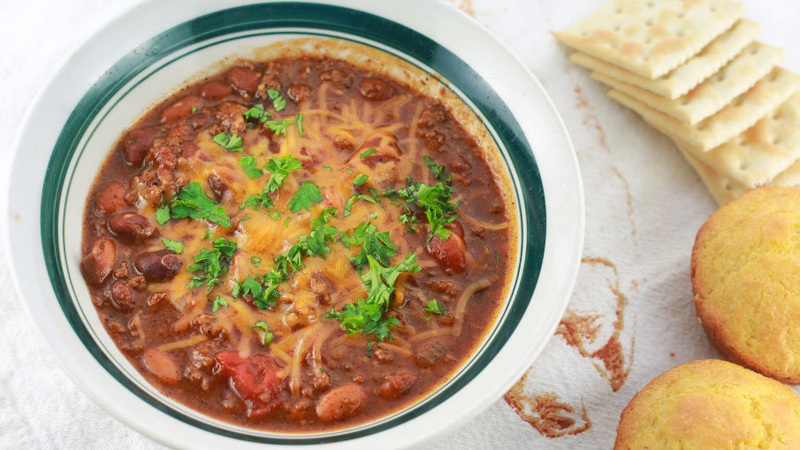 Serve with shredded cheddar cheese and crackers or cornbread.